This is a meditation that was published in last week edition of Arbroath Herald 14 October 2011. I took Dave’s advice and made it more down to earth! 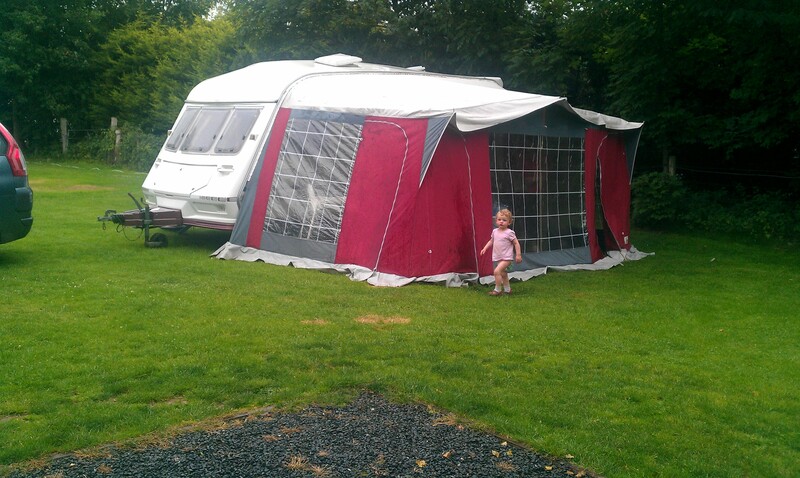 Last summer we planned to go on our first caravan holiday. Since we had not been to London on holiday before with the children and at the same time we had the opportunity to meet with friends is family from the States who were visiting London, we decided to head south for part of our holiday. We were all looking forward to see the Big Ben, the London Bridge and explore the Tate Gallery. On our way down we telephoned and booked a space at campsite in Welwyn Garden City – a good distance from the centre of London itself. Next day we were all up early and the children were very excited as we were getting ready to go into the capital. We found out that the best, and cheapest way, to the city was to take the train, but we had a short bus ride to the station. We arrived at the bus stop and as the bus pulled up we negotiated our way onto the bus with all our belongings. I was left to pay the bus fare which was just under five pounds for all of us. My wife and I are belonging to those people that use cards to pay for most of the things and do not usually carry cash around, so we found out that we were 30 pence short. I got out a twenty pound banknote to hand it to the driver. When the driver noticed that it was a Scottish note he informed us that he was not able to take it as the electronic reading machines took only English banknotes. We were now stuck as we were 30 pence short and our excitement and anticipation were starting to turn into frustration and disappointment. We were in the same country and not able to use our money. As we were now panicking a gentleman who looked in his early thirties, took his headset off, slipped his right hand into his coat pocket and took out his wallet, opened it and with a very generous smile offered us thirty pence. Both my wife and I were very moved by this gentleman’s kindness and thanked him for his generosity. It was an unexpected and wonderful gesture of kindness, it was not very much but it meant so much to our family. Last weekend the Young Foundation published the results of a research on the state of civility, or the way people treat each other in the UK. The report concluded that there is no evidence of decline in the level of civility in the UK, but that in some areas there is even an improvement in the way people treat each other (i.e. falling level of racism in the UK). The authors claim that “in general Britain remains a well-mannered and courteous country”. For a society to prosper and flourish it needs to be built on and cherish the principles of civility which according to the authors of the report “involves mindfully adapting our own behaviour in the light of others’ needs”; a behaviour then that is governed by generosity, kindness, respect and support for one another. For us as family the kindness the stranger on the bus in Welwyn Garden City showed us saved our day. It was a small gesture which brightened our day. We could recount many more such acts of kindness. We in our turn hope to show other people in need the same kindness, not only because we experienced them but because we experience the ultimate act of kindness of God in Jesus. At the heart of the Gospel message that Christians are called to live and proclaim is the command of Jesus to love your neighbour as yourself. This is the heart and the apogees of civility. But for us Christians the command of Jesus goes even further, to love even those that consider us enemies.